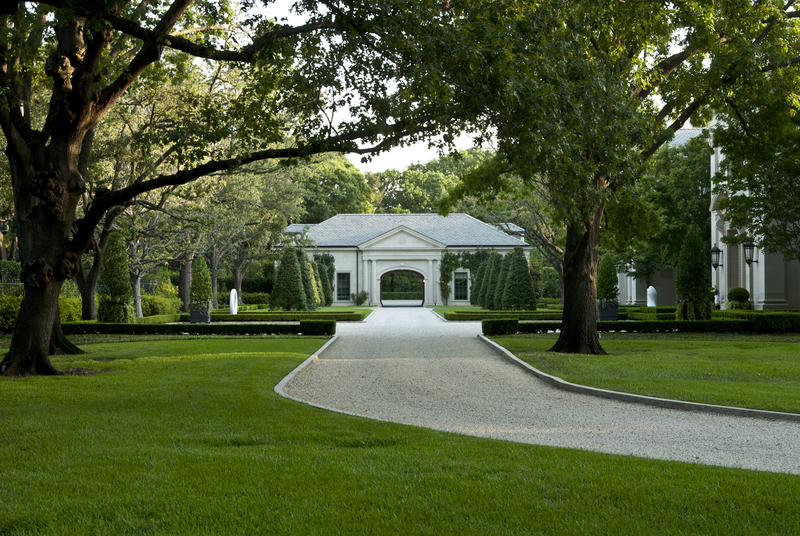 Lambert’s won a gold award from the TNLA for the residential installation of a Dallas garden. Photo: Lambert’s. Lambert Landscape Co. won a gold award from the Texas Nursery & Landscape Association (TNLA) for the residential installation of a Dallas garden, capping the fourth year Lambert’s won gold. Paul Fields, Lambert’s president and senior designer on the project, said the context for the winning landscape was to provide a series of garden rooms for clients who appreciated good design and admired historic gardens they had been inspired by in their travels. “It’s an honor to collaborate with clients in creating a beautiful garden, and having our team be recognized for their artistry and execution of the plan is a plus,” Fields said. The team also included Bill LaSalle as project manager, Gonzalo Trigeros as job foreman and Jodi Joseph, who manages the ongoing maintenance for the project. The estate’s gardens, landscape, and grounds are maintained using organic principles with all soil preparation and plant and tree materials installed using non-toxic applications. 1 Comment on "Lambert’s wins TNLA gold award"